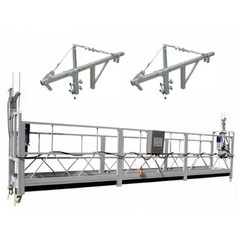 We are a unique name in the industry, devoted towards manufacturing the best quality range of Industrial Work Platform. Mast climbing platforms are one of the latest advancements in construction technology. All models offer safety and convenience features which have proven to cut labour costs in excess of 30%. They also reduce injuries and shorten production time. They are ideal for a wide range of jobs from new construction to repairs and refinishing on existing buildings. The offshore platform is used in offshore oil drilling. ZPMC is qualified for design and manufacture all kinds of jack-ups whose water depth is up to 400ft and drill depth is up to 30000ft. 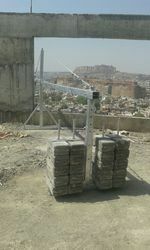 We are Manufacturers of Working Platform Manufacturer.